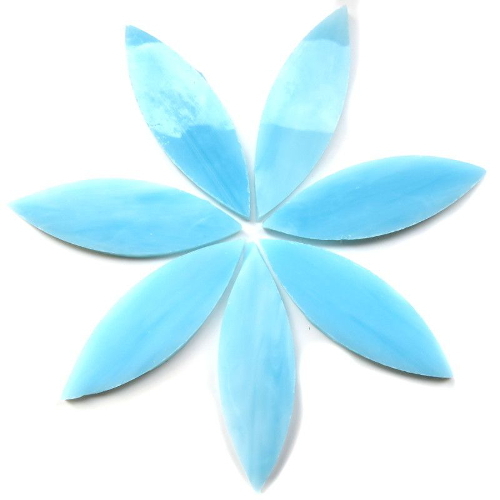 This is our exclusive selection of individually hand-cut petals made from genuine stained glass. They come in 2 sizes: small which is 15x38mm (approx 1/2 x 11/2 inch), and large which is 16 x 50mm (approx 2/3x2 inch). As these are individually cut and shaped there will be variations in size and shape and as they are cut from sheets of stained glass which are blends and tones of varying depths each petal might vary within a range of colors. Please note that the actual items may not perfectly match the photos. Glass is fragile and although we wrap and pack carefully some breakage may occur during shipping and this is at your own risk.